The ease and speed of the pattern is really incredible. It is a 3 piece pattern with an optional pocket. You have option to change the collar and pocket shape and the robe is instantly perfect for boys as well as the girls. Pattern includes full size templates for sizes 5-7 and for 8-10 with a guide for further adjustments for more sizes. It is fully reversible. 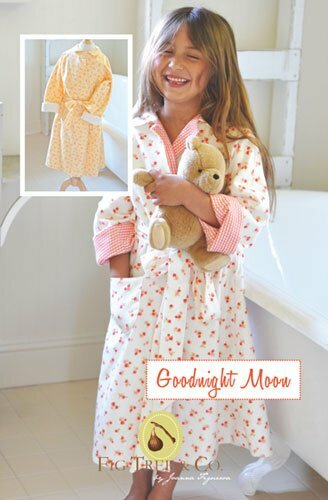 Great night robe to make.